This guest article was written by Cris Eyza. 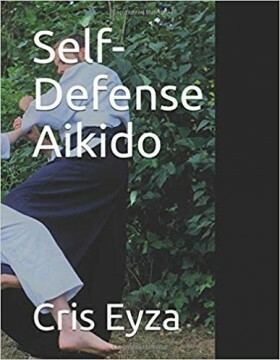 Cris is the author of “Self-Defense Aikido”, which can be found on Amazon. Improve your Aikido by fixing these 2 things! In my years of Aikido practice, I have often heard people voice 2 beliefs which never ever failed to make me raise my eyebrows. These 2 beliefs are really limiting to the self-defense capabilities of Aikidoists. In this article, I will describe these 2 limiting beliefs and even: why they go against real Aikido. On top of that, I will give you a glimpse into my own experience with these 2 limiting beliefs. Ready to become a stronger, harder, and better prepared Aikidoist? Let’s go. Limiting Belief No. 1: “You don’t need strength for Aikido or any other martial art if your technique is good enough”. Not true! Physical strength improves the effect of your martial arts techniques. You need strength to do anything (in life). Aikido founder Morihei Ueshiba was big on physical strength. In his youth, he supposedly was one of the strongest men around – and even as an old man, he stayed fit. I have practiced Aikido with very strong people. Most techniques wouldn’t work anymore. That was the best practice for me – to really explore that. The other take-away for me? I needed to get stronger! I saw the same while practicing MMA. At first, I was very strong (doing dips and pull-ups with an additional 20kg) and I could throw guys who were way heavier then me. But then, I chose to focus on technique instead of on strength. I stopped doing heavy dips and pull-ups. Guess what? I couldn’t throw the heavy guys anymore. Even though my technique improved. You think you don’t need strength as a martial artist? Wrong. Get strong. Start today. Yeah, people really think that. But blending is not possible all the time. If you have never blocked (instead of blended with) the opponent’s strike, then you haven’t trained properly (As in: severe enough). It’s true. Another thing. Have you ever practiced in a dojo where every time you thought that the next strike of your opponent would break your bone? I have. And I wouldn’t have been the first practitioner to have broken his forearm in that particular place. It was the famous Iwama dojo in Japan where Aikido was created during WOII. That was some tough keiko (training)! Even nowadays. You get tough bones through makiwara practice: striking hard objects. Don’t do this without the instruction of a real teacher. Not all parts of the body can be hardened – some only get damaged. Other body parts? They become hard as steel. And trust me: they will feel just as sharp. Even Morihei Ueshiba, Aikido founder, did makiwara practice. He punched shards of glass. A direct student of his told me this in Japan. You need tough bones. You never know what might happen. Look at Anderson Silva. He broke his shin a couple year back while kicking in the UFC. Slow-motion shows his shin flapping around like spaghetti. The harder your bone, the smaller the chance of that happening! I will tell you a story. I remember this one time. I was practicing Krav Maga in Germany. There was a new guy. Big biceps. Training with me, a skinny guy. But: I had hardened my bones. He squealed as I blocked his straight punches. You see, not only were my bones harder than his, they were also less sensitive than his. Gone was his biceps advantage. Looking back now, I realize that, at least, I had my “bone advantage”. But to be honest, I would have liked to have had both. Now, I am working on that. Start working on the toughness of your bones and the strength of your muscles. Author of the manual “Self-Defense Aikido”, which goes back to the roots of Aikido, making it effective in ways you haven’t seen before.